Roasting a marshmallow over a fire is a volatile task. If you're not careful, you can burn it to a crisp, or get an undercooked center with a charred shell. This graphic will walk you through the perfect roasting technique. 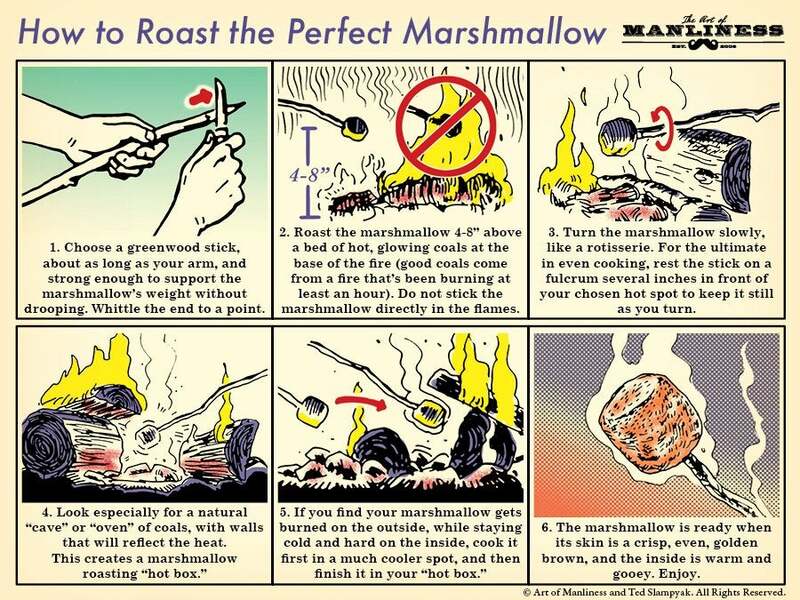 The chart, from The Art of Manliness, shows how to slowly cook the marshmallow so that it gets cooked all the way through. You can then find a "hot box" that will toast the outer shell to your desired crispness. If you want to go super pro, you can even find a natural fulcrum to rotate your marshmallow like a rotisserie.